With the help from this guide, you will start to life your life to the fullest. Minimalism can seem rather extreme. It does take a lot of self-discipline and a singular focus. This is the challenge of living a minimalist lifestyle in a non-minimalist society. We cannot get through a single day without a barrage of stimuli and distractions that would serve to derail a minimalist lifestyle. Minimalism indeed possesses magical powers, that of making you distinguish between necessary and unnecessary and the power of achieving your goals. The powers of helping you separate your needs from your wants, again helping you achieve your goals. The powers of realizing what matters to you and what is just pointless and the ultimate power to then focus on only adding the things, people, activities, and ideas into your life that truly matter and getting rid of everything else. Following a minimalist lifestyle does not mean you shun away everything you receive or start throwing out things from your house. 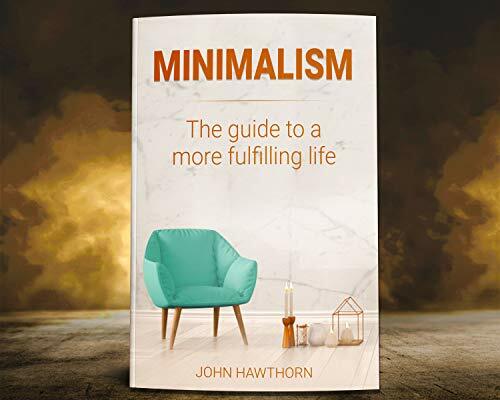 Contrary to the misconceptions surrounding minimalism that it is about living a frugal life and preferring cheap things to expensive ones, minimalism is actually about sticking to everything that adds value, convenience, and meaning to your life. If buying a laptop worth $5000 adds value to your life because your work depends on it and you are passionate about your work, there is no reason why you shouldn’t invest in it. At the same time, you need to become more conscious of some other things you own that are holding you back and not adding meaning to your life. It could be the unused appliances in your kitchen or the heaps of clothes in your wardrobe that you bought ages ago, that still have the price tag attached. here is a little preview what you will get…. Now it is time to take action and get this Kindle book for only $0.99!